Hide deals from seller "Jose's Auto & Truck Repair"
Limit 1 per person and 1 per transaction. Valid on a standard oil change and diagnostic test. Filter and oil included. Call to confirm your vehicle qualifies. By appointment only; must mention voucher when scheduling. Put the pedal to the metal with 50% off an oil change and diagnostic test at Jose’s Auto & Truck Repair in Aurora ($96 value). This auto shop is known for honest, friendly service and reasonable prices. Jose’s Auto & Truck Repair has been serving the City of Lights for more than 13 years. Now in a new location, Jose’s provides the same high-quality repairs and workmanship that have given the shop a great reputation and many referrals. Offering services from fluid changes and tuneups, Jose’s can take care of all your automotive needs. Keep your vehicle running with this deal. 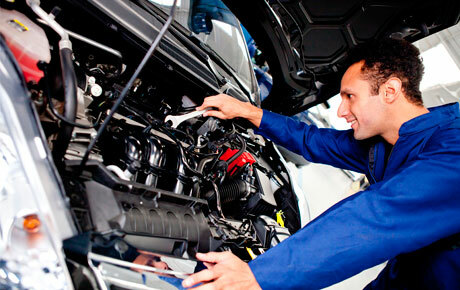 Auto repair shop in Aurora offering high-quality services for cars and trucks.